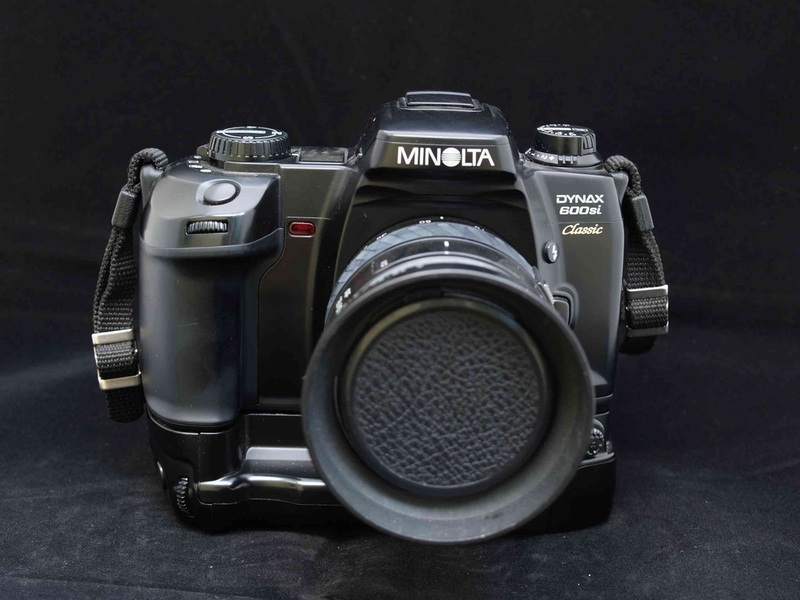 The Minolta Dynax 600si CLASSIC. Yes ladies and gentlemen it's a CLASSIC camera. Yet another example of marketeers-talk. Of course there is nothing classic about the Minolta 600si which was introduced in 1995. It's a hightech autofocus SLR. The only classic thing about this camera is that you change settings by turning knobs in stead of pushbuttons. Though this introduction may sound a little cynical, there's nothing to be cynical about concerning the 600si. It's a fine camera period. 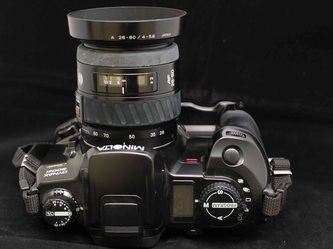 Though it's not labelled in the '7-series', it could well have been a '7-series' Minolta. 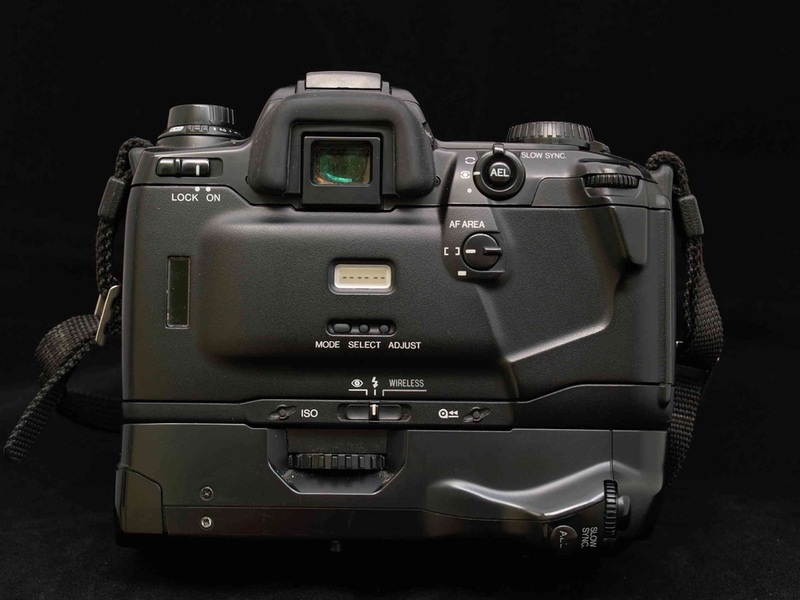 In fact it's appearance and ergonomic design made it even more a camera for the advanced amateur than the 700 si. 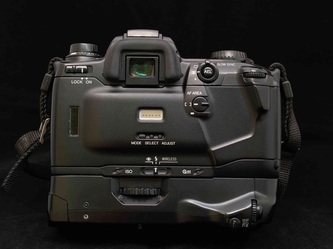 There are separate knobs for flash and exposure compensation, drive mode, and exposure mode. Rotating switches on the back controlled AF and metering modes. All very convenient to the photographer who doesn't want to rely on automatics entirely. It's there when you need it, and it can be turned off if you don't want it. In fact the design of the 600si was so succesfull, that it became the basis for the later Dynax 7 and 9. Specs and build quality make the 600si an amateur camera. For example AF speed isn't lightning fast, frame rate is only 2 fps and top shutterspeed is 'only' 1/4000th. The body is made out of plastics with metal in the necessary places, like the bayonet mount and the tripod mount. Durable platsics though, but without the heafty feeling of a real procamera like the later Dynax 9. For todays use this is a perfect camera. Add the handgrip VC-600 and vertical use is easy too. Mainly because of its good ergonomics secondhand prices are often higher than that of the 700si. A higher price that's justified because the doubtful better specs of the 700si hardly outweigh the better usability of the 600si. Little drawback is that 600si's sometimes show an unpredictable error message. Mine does every now and then. But switching the camera off and/or removing the batteries solves the problem.